Following a successful collocated event in Sitges in May 2018, HIMSS and Health 2.0 continue to strengthen their ties and choose one of the most innovative countries worldwide to host the 2019 conference. The three-day event is supported and organised in conjunction with a number of Finnish organisations, including: The Finnish Ministry of Social Affairs and Health, SITRA (The Finnish Innovation Fund), Business Finland, The City of Helsinki, The University of Helsinki, HUS Helsinki University Hospital, OuluHealth, Turku Science Park and Messukeskus Helsinki, Expo and Convention Centre. 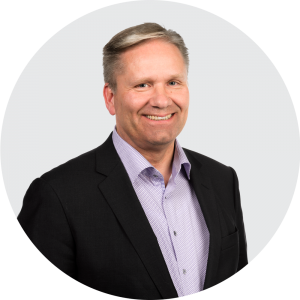 Antti Kivelä, Director, Capacity Renewal, SITRA, said: “Finland is one of the leading countries in innovation, data and healthcare, and we look forward to sharing our journey at the conference next year. HIMSS and Health 2.0 always put the patient and the citizen in the driver’s seat when discussing health and care. This is a vision we fully support in Finland, and is one of the reasons we are delighted to be hosting next year’s flagship digital health event”. Bruce Steinberg, EVP for HIMSS International, said: “The Nordic region is one of the most socially advanced and digitally mature regions worldwide. Taking our conference to Finland is an absolute privilege, and will give many of us the opportunity to learn from groundbreaking digital health transformation first hand. “Bringing HIMSS & Health 2.0 under the same roof in Europe has proven to be the key ingredient for success. Health 2.0 attracts entrepreneurs, investors and healthcare business executives showcasing new product demos. HIMSS Europe brings high-level decision makers and thought leaders to the conversation. Together, in addition to engaging with each other, hearing about real best practices and learning new skills, delegates will get a unique chance to see some of the technologies that are making a positive difference to patients right now”. Pekka Sivonen, Director of Digitisation, Business Finland, added: “We currently have over 500 companies in the health tech sector; and this number is growing more than 10% annually. The Finnish healthcare reform is the most significant in history across the globe. We are redistributing finances and pushing through 140 new laws, including a law of the secondary use of health-related data. We have a tremendous story to tell the visitors of the HIMSS & Health 2.0 European Conference in June 2019”. Would you like to know how your company could make the most out of HIMMS & Health 2.0 in Helsinki? We help foreign companies to find business opportunities in Greater Helsinki. All needed information and contacts to the Helsinki health ecosystem are just one phone call away.